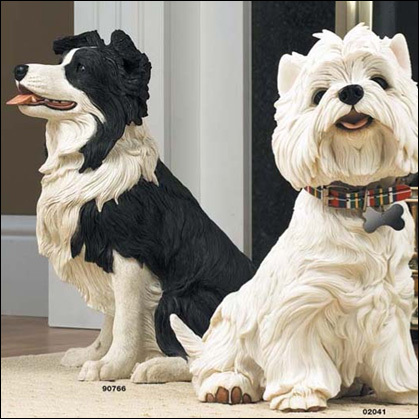 Whether you are looking for dogs or cats, MYKENS offers an extensive line of figurines and life-sized statues. Varieties include; Russian porcelain, finely-detailed resin, porcelainized resin, and whimsical clay sculpture. 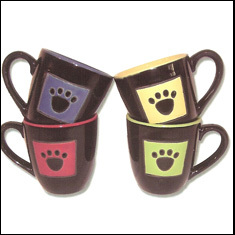 Our wide collection of dog and cat mugs range from whimsical to AKC breed standard. Whether to show off your breed or simply amuse - we have mugs for everyone. 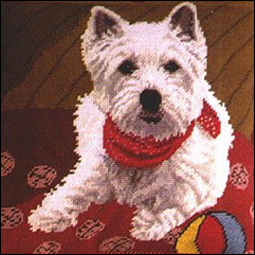 We are pleased to offer an extensive array of classic dog and cat designs in needlepoint. Careful detail has been given to each design in order to capture a distinct personality and expression whether on a pillow, throw, rug or footstool. It's just good petiquette! They may have four legs but they are certainly not without social grace. With today's endless social commitments, what well-bred pet can afford to be without their own stationery? 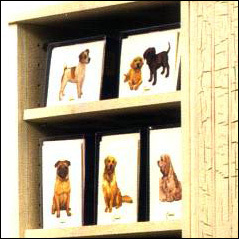 We offer dog and cat notecards, stationery, pens, and writing sets. 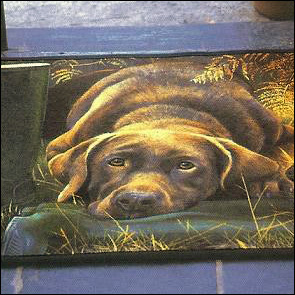 We offer a wide variety of adorable dog and cat doormats. Permanently dyed and fade resistant with non-skid backings, these mats are sure to make any doorway more welcoming. 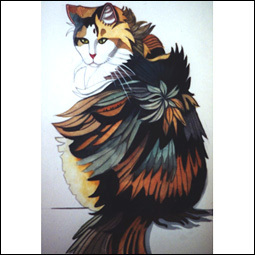 MYKEN'S is proud to offer artwork from artists near and far. We have collected a wealth of images that reflect the love of animals and the great appreciation of nature. The majority of our selection is limited-in-edition, so inventory is changing constantly.